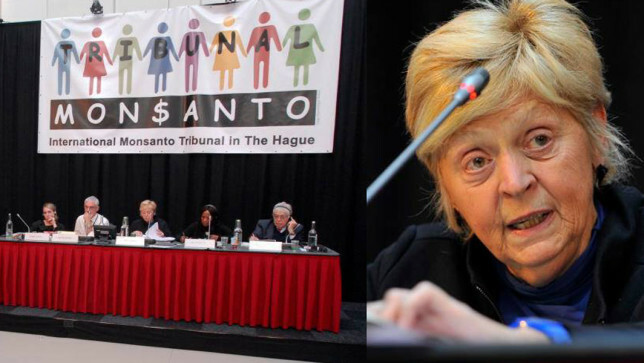 Today the five international judges for the Monsanto Tribunal presented their legal opinion, which include key conclusions, both on the conduct of Monsanto and on the need for important changes to international laws governing multinational corporations. The judges conclude that Monsanto has engaged in practices that have impinged on the basic human right to a healthy environment, the right to food and the right to health. Additionally, Monsanto’s conduct has a negative impact on the right of scientists to freely conduct indispensable research. The judges also conclude that despite the development of regulations intended to protect the environment, a gap remains between commitments and the reality of environmental protection. International law should now precisely and clearly assert the protection of the environment and establish the crime of ecocide. The Tribunal concludes that if ecocide were formally recognized as a crime in international criminal law, the activities of Monsanto could possibly constitute a crime of ecocide. In the third part of the advisory opinion, the Tribunal focuses on the widening gap between international human rights law and corporate accountability. It calls for the need to assert the primacy of international human and environmental rights law. A set of legal rules is in place to protect investors’ rights in the frame of the World Trade Organization and in bilateral investment treaties and in clauses in free-trade agreements. These provisions tend to undermine the capacity of nations to maintain policies, laws and practices protecting human and environmental rights. United Nations bodies urgently need to take action; otherwise key questions of human and environmental rights violations will be resolved by private tribunals operating entirely outside the United Nations framework. The Tribunal also urges to hold non-state actors responsible within international human rights law. The Tribunal reiterates that multinational enterprises should be recognized as responsible actors and should be subjected to the International Criminal Court jurisdiction in case of infringement of fundamental rights. The Tribunal clearly identifies and denounces a severe disparity between the rights of multinational corporations and their obligations. Therefore, the advisory opinion encourages authoritative bodies to protect the effectiveness of international human rights and environmental law against the conduct of multinational corporations. The very clear conclusions will be of interest to both the critics of Monsanto and industrial agriculture and to the shareholders of chemical companies and especially Bayer. The reputation of Monsanto—and Bayer in case of a merger—will not exactly improve with these conclusions by the judges of the Tribunal. The advisory opinion is a strong signal to those involved in international law, but also to the victims of toxic chemicals. The Tribunal has created links and shared important information between lawyers and organisations that represent the victims. 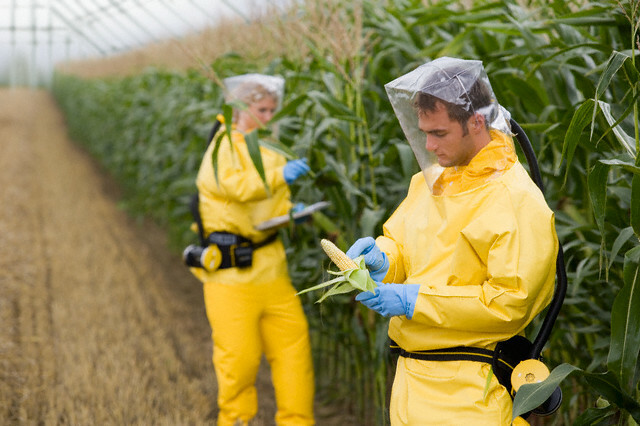 Therefore it is likely that the conclusions will lead to more liability cases against Monsanto and similar companies. This will shine a light on the true cost of production and will affect Monsanto (Bayer) shareholder value in the long run. Companies that cause damage to health, food and healthy environment should and will be held accountable for their actions. Organizing groups behind the Monsanto Tribunal include the Organic Consumers Association, Navdanya, IFOAM Organics International, the Biovision Foundation and Regeneration International. Great! Thank-you for being sane, judges. And let’s also not forget that most of the big GMO/chemical corporations have long histories of involvement with the military industrial complex, including chemical and nuclear warfare. They have profited handsomely from their crimes against humanity and against life on this planet, some for over a hundred years now. Chlorine and mustard gases for trench warfare, Agent Orange, napalm, the Manhattan Project/atomic bomb, plutonium production and radioactive waste – and that is not to mention their GMO and herbicide/pesticide poison. Bayer, Monsanto, Dow, DuPont, and BASF are the criminals involved. Bayer Corporation, now in the process of merging with Monsanto, has Nazi roots. It was once part of IG Farben. Continue to vote with your dollars and just say NO to gmo! I was diagnosed with celiac disease six years ago and had to eliminate wheat from my diet. Whenever I eat wheat by mistake in the US, I get violently ill. However I have traveled to Europe (Italy and France) twice since my diagnosis and have been able to consume bread and pasta there with no ill effects. What’s the difference? I think it is the Round Up in US wheat. Thank you for spreading the truth about how distructive Monsanto chemicals are to our food. The are such a strong lobby in the US. They must be stopped. I read recently that if glyphosates are not completely banned then there will be so much of it in the oceans, soils, waterways, lakes and air that this planet will die by 2030. Perhaps this decision will be the impetus for governments to start banning it in the near future. Meanwhile, start your own boycott: refuse to buy anything that’s GMO or has glyphosate in it. You’ll be helping to eliminate these environmental problems and your health will improve. Who established this ‘tribunal’? Where do we find source documents outlining any proceedings? How were the judges chosen? 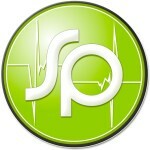 Where can we see the presented evidence? This seems like another step towards globalization of the environment. Seems the Hague is giving the green light to the United Nations to adopt policies that treat multinational companies as nation states. They are trying to establish that local regulations are in conflict with international trade laws and the protection of “investor rights”. Then, only the ICC can bring legal action against these companies and only enforce the United Nations laws that are in play. This tribunal issued no reprimand or restitution. Nor did it begin to hold individuals responsible for the actions of the company. A win for all involved.